Hiring someone is one of the most important and difficult decisions you can make as an HR head, simply because whatever you decide has the potential to drastically affect your business for better or worse. 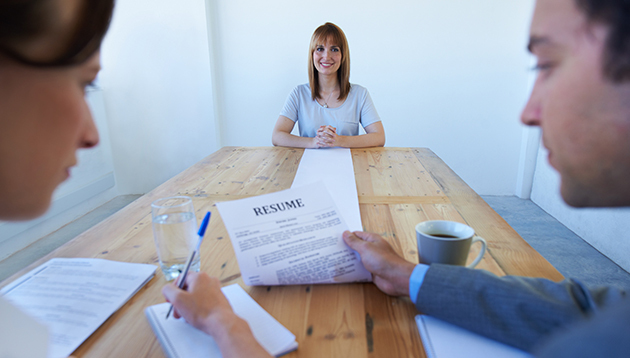 Moreover, there is plenty of advice on nailing interview questions as a candidate but what about if you are the hiring manager? Inc.com compiled this list of interview questions all HR heads should ask. 1. Tell me about your last job? Criticising a previous employer should ring alarm bells. Rather look for someone who liked their employer and their job but is looking for more opportunities to grow and improve. 2. Why would you like to work for us? The answer to this should get to the heart of what truly drives and motivates a candidate. 3. Where do you want to be in a certain amount of time? There is no right or wrong to this but the answer will indicate what an individual is passionate about and what their goals and aspirations are. 4. Is this position right for you? The answer to this can be very enlightening for both you and the interviewee. In some instances, the person might realise on the spot they are not the right fit but in others, it will kick them into second gear and motivate them to prove to you why they are the best fit for the job. 5. If you were to walk on stage, what theme song would be playing? This may seem a little random and it might throw candidates off but is actually a great insight to see how they think on their toes and who can be creative. 6. What would the person closest to you say is your best and worst trait? A really good way to get to know the candidate better, it allows you to probe a little deeper into their style and character. It is also a good indicator of their ability to be self-reflexive about their strengths and weaknesses. 7. What are you going to do the same and what are you going to do differently than your predecessor? The answer to this should strike a delicate balance between respecting the work that has been accomplished and being able to demonstrate how as a new hire they can build and improve on it to take the company to the next level. Entrepreneurs are the driving force behind global job creation. But what does this mean for you and your search for top talent?.. Syed Ali Abbas, CHRO for Pacnet and the first announced speaker for Talent Management 2014, explains the importance of needing rea..